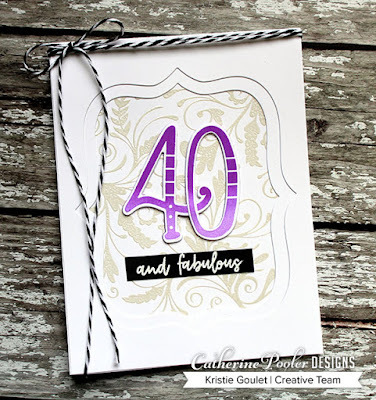 The delicate silver pearl flourishes and the die cut opening look great together and they complement the bold purple number perfectly! 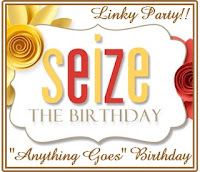 Thank you so much for joining us at Seize the Birthday, Kristie! Great card Kristie. Love the way you have framed the number.